The Custard TV: REVIEW: THE OA: PART II - A show not for everyone but a marvel nevertheless. 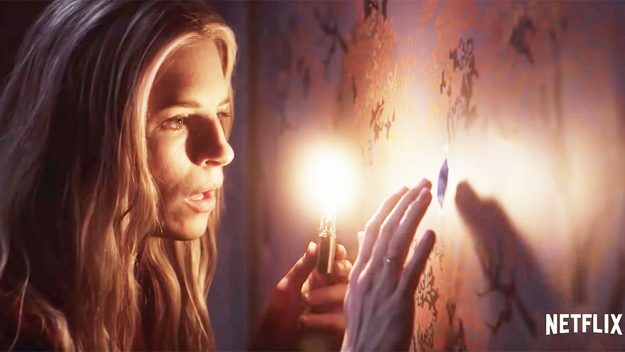 REVIEW: THE OA: PART II - A show not for everyone but a marvel nevertheless. When the first season of The OA dropped on Netflix back in 2016, nobody was really sure about what they were watching. Having been released with next to no promotion, viewers were in a similar position to that of protagonist Prairie Johnson (Brit Marling) in that they were entering into this unknown world completely blind. A risky move in this day and age, for sure, but one that ultimately enhanced our viewing experience. The OA divided audiences. Some thought of it as nothing more than pretentious drivel, while others thought it incredibly intelligent. In that respect, it’s a bit like Twin Peaks —not everyone will enjoy it, but those that do can appreciate it for all that it is. 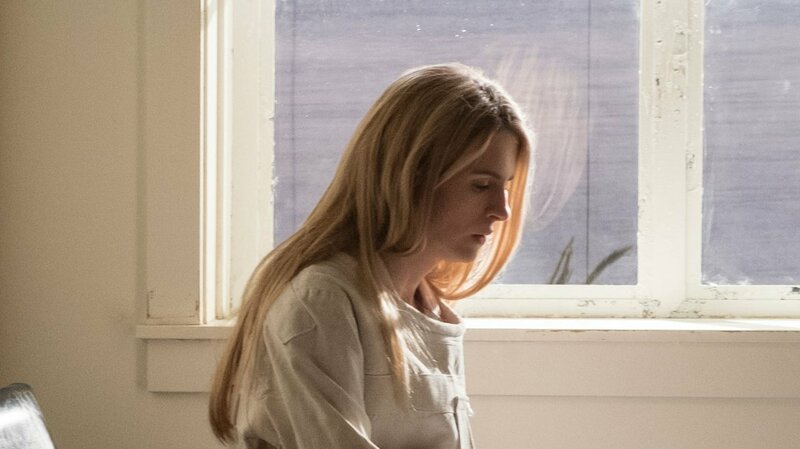 Two years on, and The OA: Part II is here, and, if you were a fan of the first, then you’ll love this. it’s every bit as good — albeit more complex, and with an extra helping of crazy! The second season expands the universe — and the mythology — of the show, as inter-dimensional travel is implemented, as is dream recording and mysterious puzzle-houses (and psychic octopuses!). It’s certainly not something you can put on in the background, as the narratives are incredibly complex — even more so than the last time — demanding your full attention the whole way through. The culmination of the first season saw Prairie/OA perform the five movements alongside her young pals, as she hoped to open a portal for inter-dimensional travel so that could locate and rescue Homer (Emory Cohen). You’d think this would be the first issue dealt with in Season 2, but in typical OA fashion, the writers subvert the norm and take us somewhere else entirely — i.e. San Francisco. The season opens with a specific focus on PI Karim Washington (Kingsley Ben-Adir), who’s investigating the disappearance of a young girl named Michelle, who bears a striking resemblance to Buck (Ian Alexander) — the transgender student from the first season — which is a bit of a giveaway that the events of Season 2 are taking place in a different dimension. At first, it’s a bit annoying how much screen-time is devoted to this newcomer, but by the end of the season, it makes sense as to why this is so. When OA eventually arrives San Francisco she inhabits the Prairie/Nina/OA that already exists in this second dimension. This Prairie goes by her birth name, Nina Azarova, as she hadn’t been adopted by the Johnsons — nor had she been blinded as a child. An interesting twist, for sure, and it gives Marling the opportunity to play a different version of her character — something which she thrives at. Introducing inter-dimensional travel was always going to be a risk, as such an ability would undoubtedly simplify all of OA’s obstacles, thus making her mission a breeze. However, the writers have refrained from making it easy for their protagonist, as the introduction of dimension-hopping brings with it a whole lot of problems — including memory loss. Inhabiting Nina results in the suppression of Nina’s consciousness. We later learn that Nina has crucial information in regards to Michelle’s disappearance — information which OA cannot access, much to the bane of Karim. As it was in the first season, the writing is extremely clever. Some great narrative twists see OA/Nina end up in a psychiatric hospital — the same psychiatric hospital from Homer’s near-death experience — which is run by none other than Hap (Jason Isaacs) — only in this dimension he goes by Dr Percy — confirming that he managed to dimension-hop too, as did Scott (Will Brill), Rachel (Sharon Van Etten) and Renata (Paz Vega). While Homer made the jump alongside his fellow captives, his consciousness got lost within Dr Roberts — the second dimension version of Homer — which creates plenty more obstacles for our protagonist to overcome. Again, genius. Part II is structured incredibly well, given that there are three separate narrative threads running concurrently — and only eight episodes between them. The writers expertly weave the stories together in an unpredictable – albeit believable — fashion. I might go as far to say that the greatest of the eight episodes are the third and sixth — both of which do not feature OA — as they give us the opportunity to catch up with Steve (Patrick Gibson), Alfonso (Brandon Perea), Betty (Phyllis Smith) Jesse (Brendan Meyer), and Buck back in the first dimension. These guys were — and very much still are — the heart of the show. It’s also pretty neat that, without OA taking centre stage in this dimension, we’re given the opportunity to get to know the kids and BBA a lot better. In spite of the intelligence of the whole project, The OA never ventures into pretentious area. Sure, some of the material requires a suspension of disbelief (psychic octopus, anyone? ), but it remains believable within the boundaries of its own universe, and doesn’t get bogged down with too much explanation. David Lynch would certainly be proud. Mind you, it all gets a bit meta in the final episode — perhaps too meta, but the abrupt ending gives us little time to form an opinion. I’m not really sure what to make of the ending as of yet — which was likely the writers’ intentions — but given that there’s a massive cliff-hanger — one which harks back to the end of Season 1 — it’s likely that we’ll be back with OA for another adventure at some point in the future. One of the show’s greatest strengths remains its visual presentation. The OA is quite possibly the most aesthetically pleasing series there is, and it demands to be viewed in 4K. Zal Batmanglij’s direction is truly something else. A different aspect ratio is employed during the San Francisco-based episodes to distinguish between the two dimensions, which is a really inventive way of using the show’s visual presence to tell part of the story. Yes, on a visual level, there is simply no other series that can compete. The OA is certainly a hard show to review — mainly because the series is simply beyond words. In a way, I guess you could say that it transcends them. You may not hear as many people raving about it as you would say Stranger Things or 13 Reasons Why, but make no mistake it’s worthy of such a reputation. For now, however, The OA will continue to be appreciated by those that can see the beauty in everything it is — and those guys are already craving Part III.